I was talking with a friend about makeup the other night and we were discussing if makeup goes through trends. Came to the conclusion that yes, of course it does. Bright seems to be the Spring look this year. Some blues and greens for the eyes. Fuchsia for the lips. A little highlighter for the cheekbones and above the eyebrows. Now, I have always liked my browns. Neutral and safe. Pretty much goes with everything. You can make it a day look or go for the more dramatic, night look. But.... 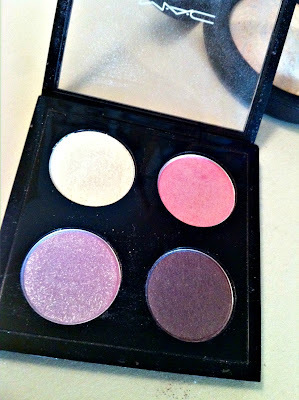 I did go out on a limb and got some "Spring" eye shadow colors to give it a try. I really like this palette. 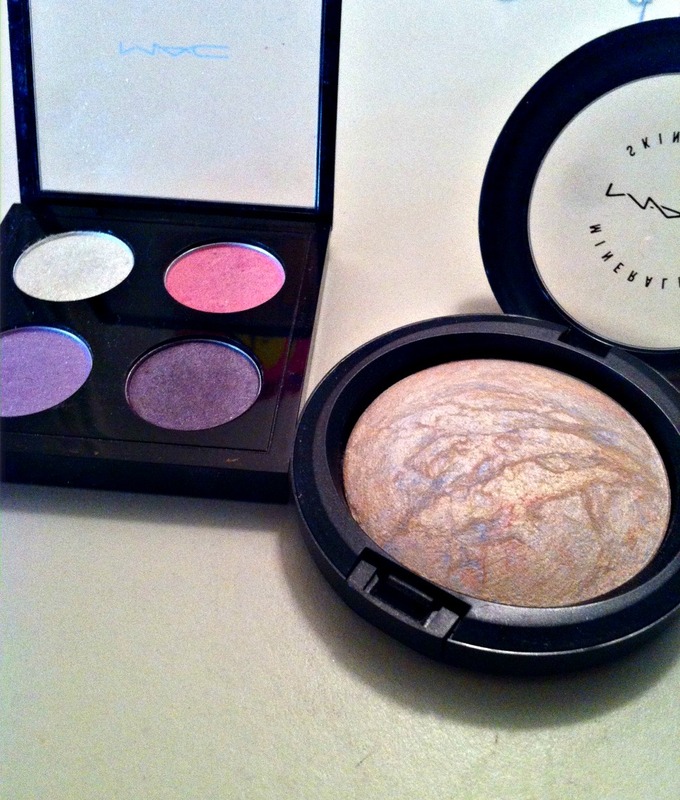 Purples really brings out hazel eyes (perfect! that's what I have). The green is very pretty, especially out in the sun with the shimmer. Both are from MAC. This is my favorite highlighter. Mineralize skin finish is MAC's brand and mine is called LIGHTSCAPADE. LOVE it! No matter what personal or favorite trend is; it's always fun to step out of the box and try something new! Don't forget! Friday is the last day to leave a comment on THIS POST to have a chance to win the "Sweet Southern Pearls" t-shirt! I love the bright fun colors for spring! I too like my browns, but I've been using the browns in the crease and the adding a pop of color next to it. I love the look because it adds just the perfect amount of color. Looking forward to the spring and summer collections around the corner!! Browns are hard to stray away from haha They just always work! This highlighter looks amazing!!! might have to try it soon!! new follower from the link up!! Just found your blog! You're ADORABLE!